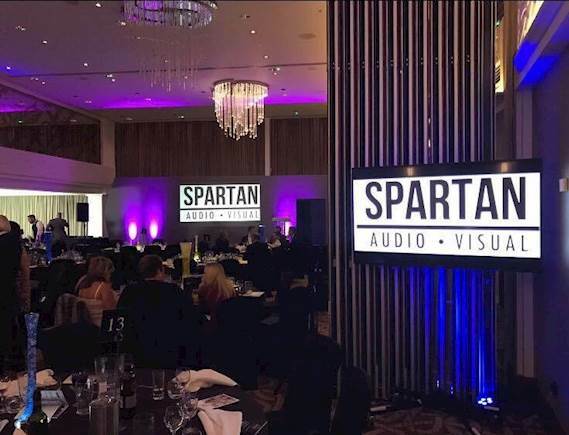 Cardiff-based Spartan Audio provides corporate event solutions, live sound, vision and lighting solutions, AV installation and sales and touring logistics, supply and crew. 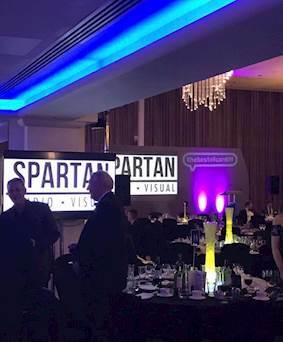 Challenge: Spartan Audio was tasked with providing the AV for the prestigious Best of Wales Awards which would need a large high quality projected image for the main stage synced with repeater televisions throughout the banqueting hall. 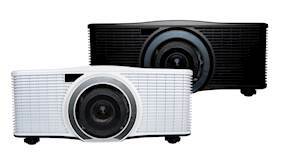 Solution: The Cardiff-based AV experts opted for Optoma’s 6,000-lumen laser-phosphor projector, the ZU650 together with Samsung 65” LED UHD repeater televisions, DB technologies PA system with L’acoustic MTD108A speakers and Powersoft X4 amplifiers. 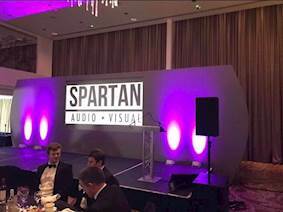 Spartan Audio was tasked with providing the AV for the prestigious Best of Wales Awards Ceremony to be held at the Mercure Hotel Cardiff. As this is a very popular awards gala, event organisers, Best Of South Wales Ltd, wanted to ensure everyone would be able to hear and see presenters from any seat in the room. This would need a large projected image for the main stage that synced with repeater televisions throughout the banqueting hall. But space around tables was limited, so the screens needed to be slim. The throw distance for the projector was limited to three metres so the imagery would need to be rear projected. Previous year’s events had seen poor image quality between the repeater televisions and the main projector so it was important that both the audio and picture was perfect. Spartan installed two Samsung 65” LED UHD televisions due to their thin and low profile appearance. They also installed a DB technologies system for the main PA. This was comprised of one active top and sub a side to provide vocal intelligibility for the front of the room as well as offering subtle low end reinforcement. Spartan used L’acoustic MTD108A speakers and amplification was via Powersoft X4 amplifiers. These offer full DSP control, which allowed the AV company to load box presets and provide system EQ from a laptop connected wirelessly to the unit. Both Spartan staff and event organisers noticed a significant improvement in projector quality from the previous year. The public attending the event commented positively on the quality of the images on both the UHD televisions and the projection.